Please note, the package only contain the Towel Rack/Paper Holder with relative accessories, the others showed in the picture are just for picture purpose that will not included in the package. 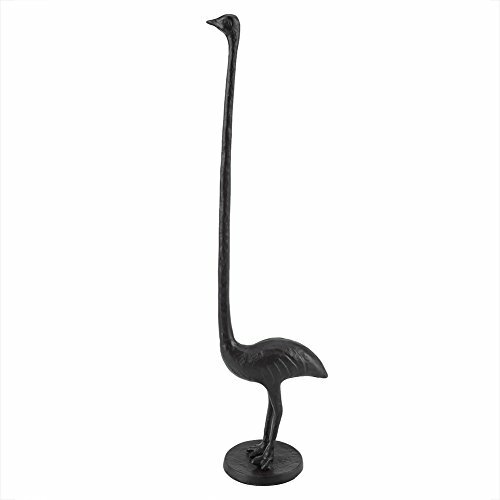 The paper holder is made from cast iron with a verdigris finish, very durable and solid. This high quality paper holder is simple, polished, lustrous, smooth surface and concise design, so it is easy to clean. Perfect for the home, cabin, or cottage, this paper towel holder is well made from solid cast iron for years of durable use. The paper towel holder has great detailing and features a long neck for holding a few rolls of toilet tissue, or a roll of paper towels. It is a great gift for use in bathroom, bathhouse, washroom, kitchen, hotel and laundry room.